RGB Sheetmetal has provided numerous services for its many customers during the past thirty plus years. The experience of RGB covers a wide range of systems. This experience makes it possible for us to provide a completely designed system for facilities of all varieties. These include hospitals, office buildings, retail stores, industrial facilities, and residential structures. RGB provides complete installation of heating and cooling systems including ductwork and control wiring as needed. 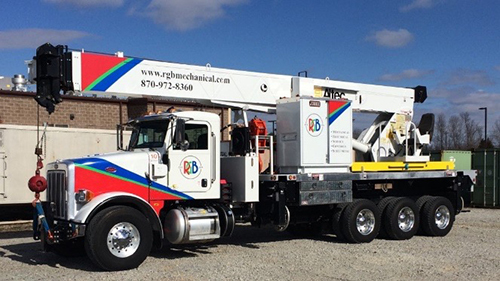 RGB's complete on-site sheetmetal/metal fabrication shop provides custom metal fabrication for stainless steel, hot roll, aluminum galvanization, and PVC. RGB sheetmetal services also include blow pipe installation, installation for cyclone and bag house systems, fabrication from customer prints or drawings, design and build projects, and spec work. Our sheet metal shop is a full service dealer for Rheem, Trane, and Carrier heating and cooling equipment.